From the last time we worked on Super Duper Circus – this is a rehearsal! The Super Duper Circus is COMING!!! – Saturday, June 26th @ 2pm!!! 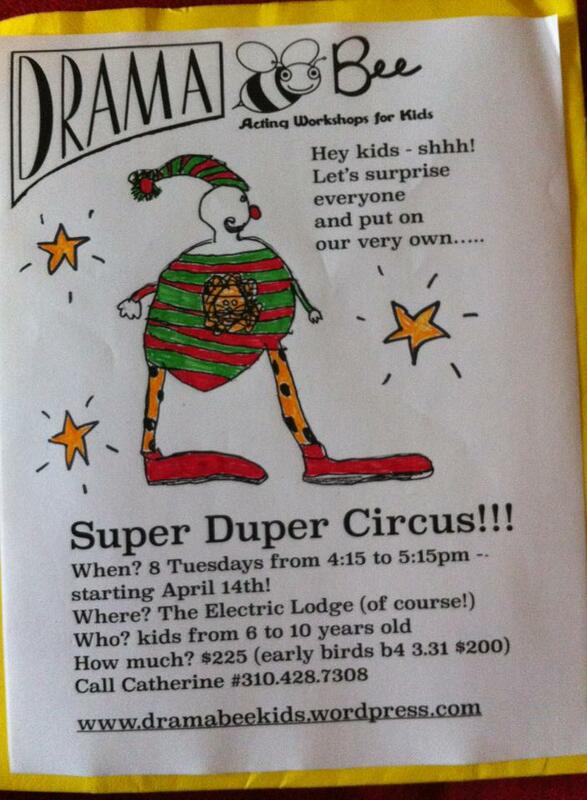 Up next – the SUPER DUPER CIRCUS!!! C We need lions and tamers, clowns and cart wheelers, tantalizing tighrope walkers and teeny tricksters to make up the circus of our dreams! This show will be amazing – inspired by the small wire sculptures of Alexander Calder and wonderful wording of Maira Caldman combined with the imaginations of children – it cannot fail to be a magical experience for all involved!! Please contact me, Catherine (310) 428 7308 to find out more details!